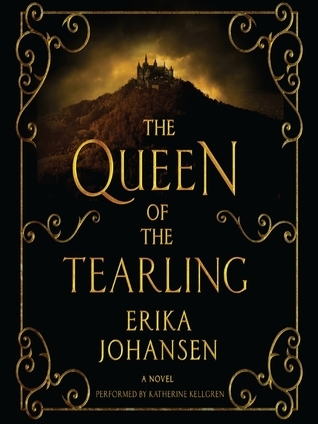 Genre: Fantasy / Young Adult? I finished this audiobook a while ago and put off writing the review because I couldn’t decide how I felt about it. I went back and forth between 2 and 3 stars for a while. There were several things about the story that really bothered me (making me feel like it only deserved 2 stars), but then there were times when I was interested enough to think that I would need to read book two to see what happens. When all was said and done, I did decide I might read the next book at some point, so three stars it is. Reading this blurb from Goodreads, the book sounds like any other fantasy novel. This story actually takes place in a future where for some reason (we are never told exactly what happened), a group of people have fled America and moved to a new land (again, we don’t know how there was a new land available for them to colonize…) leaving all technology and modern conveniences behind them. Is it young adult or not? Occasionally the language, violence, or other crudeness seemed inappropriate for all but the most mature of teens, but then Kelsea would act like a nineteen year old girl, she spent an awful lot of time obsessing over her plain appearance, how handsome each of her guards happened to be, etc…, so I could never really tell. Where / when is it? We get bits and pieces mentioning “the crossing”, but why? What happened? Is there still an America with technology somewhere? Where are the main characters now? If the Capital is New London, are they anywhere near old London? How is there magic? And who is this enemy, this evil Mort/Red Queen who seems to have an abundance of it? I can go on and on here, and the lack of details or explanation about this world they are living in is my biggest complaint. Kelsea, when she could remember not to worry about her plain face or how greasy her hair looked, actually had a decent moral compass and wanted to do what was right for her new-found kingdom, not just what was easy or convenient for her. She was stubborn and idealistic, and I admired those traits in her. I even eventually grew to like some of her guards, the Mace and Pen in particular, as they finally learned to respect her and some of her ideas near the end of the story. I wish I could say yes, but the best I can do is maybe. If you go into it knowing that you are not going to understand exactly where this world is, how it came about, or why, and that doesn’t bother you, then you just might. I will give book two a try to see if there are more details forthcoming, but not right away. Very thorough review. Thanks, Erika! Thanks for taking time to give an honest review. Sounds like it had problems, but the author has potential? I think the story idea was good, even thought the world-building was barely there, so yes. I think it has the potential to improve, and I am interested to see what book #2 is like!